IoT is not only about connecting machines; the technology can do countless other amazing things. Recently I had the privilege of working with few non-profit organizations promoting education. The solution involved Raspberry Pi, which is used in many IoT application, to make a big difference in education. Millions of families across the globe are forced into perpetual poverty due to lack of access to quality education. Either schools are not available in many parts of the world, or, if schools exists, qualified teachers are hard to find. While many non-profit organizations are creating video lessons, in rural areas of many countries, Internet is not available to enable access to these video lessons. A major question is how to make this content available to students in these schools, and this is where Raspberry Pi comes into picture. With Micro SD card, it is possible to load video lesson locally on the device eliminating the need for the Internet web servers. HDMI port is available to connect Raspberry Pi to a TV set in classroom. Raspberry Pi has a complete operating system which enables adding features like running local Web Server and Web Browser. Cost is one of the major factors. Raspberry Pi is available at very low-cost. There are no moving parts in Raspberry Pi, so the system can work for a long time with little to no support. While the main use case is to connect Raspberry Pi to a TV monitor in the classroom, WiFi is enabled so that other computers or handheld devices can also be used to view these lectures. The hope is that this solution will bring much-needed solution to schools in villages and other remote areas to solve the issue of lack of teachers and quality lessons. This is especially important for science subjects where teacher are hard to find and retain. 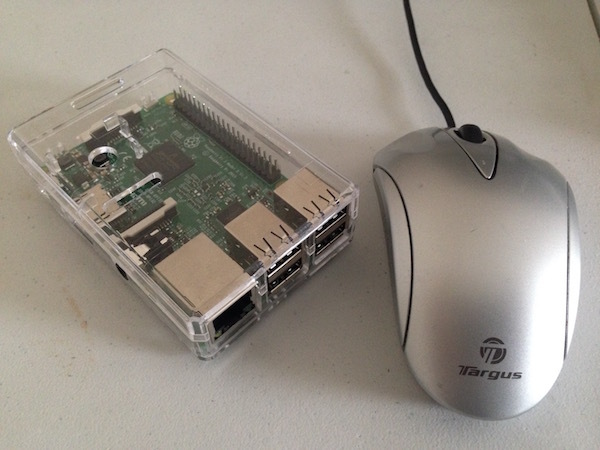 The overall cost of the solution is low as it needs a small size TV and a Raspberry Pi device. The next frontier is to add an option of solar panels to reach out to places where continuous electricity is not available. Raspberry Pi is a small device, but it is expected to make a big difference in the life of students in these neglected schools. This entry was posted in Education, IoT and tagged education, IoT. Bookmark the permalink.